More Miscanthus planting is need to meet rising demand and our new sales team brings with it the right skills and passion to rise to the challenge. 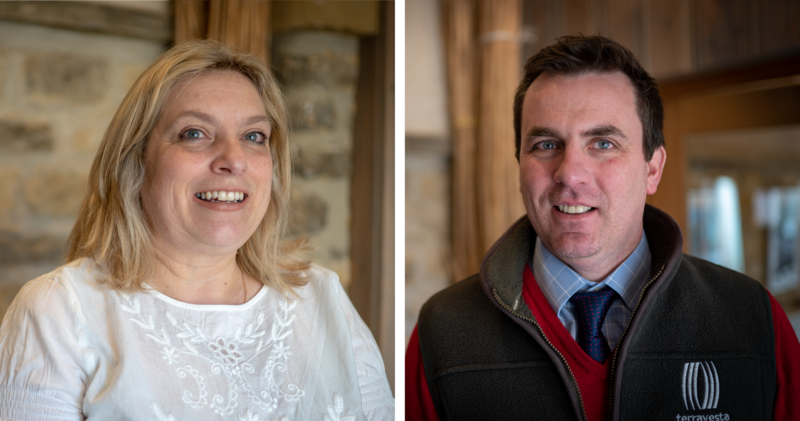 We’re pleased to welcome Lynn Griffen and Ben Booth to Terravesta, who will both be driving new Miscanthus sales and bring unique experience and knowledge to the department. Lynn has plenty of agricultural sales, finance and marketing experience and her background is in environmentally friendly crop protection and nutrition, including bio-stimulants, biological pest and disease control and seaweed fertiliser. Ben Booth’s role at Terravesta is dedicated to increasing Miscanthus sales and his background is also rooted in agriculture, although his diverse experience brings a unique skillset to the position. Six years in the Navy in his 20’s has encouraged a resourcefulness and a strong team-player mentality. A stint at Harper Adams studying rural enterprise and land management and managing the Woodhall Spa home farm caravan park diversification means he’s a dynamic out of the box thinker who understands the challenges farmers face. “We need alternative sources of energy to repair the damage we have done to the environment and Miscanthus is a ‘win-win’ because not only is it a long-term lucrative investment for the farmer, its beneficial to the planet and it’s got a strong future ahead,” says ben. To find out more about our remarkable growing team visit our team page.